Most people know that Ford Mustang became wildly popular when it came in 1964, a car that was branded as a pony car. It was possible to buy a hardtop, convertible or fastback in its first year. The undersigned remembers that we were driving the Ford Mustang Mach 1 with V8 to school, during high school, in the late 70’s here in Sweden. Private imports were high among young people; The “greasers”, Rock`n`Roll culture, was well wide and a lot of cars were mishandled. Today, the “greaser” label is gone and we admire the cars that survived those days, and today are cared for and renovated pedantically. People make thumbs up as you move through the street in a Ford Mustang GT. This text is really about Gunilla and her choice of buying a new car. She has been driving BMW for a long time; many times nicer choice than the sometimes dull Volkswagen, Peugeot or Toyota that so many people choose. A SUV is also common today, as it is safe to drive the children to their activities. The question was; which car would replace the petrol-powered BMW 320i with a premium label that had only gone 46600 miles since she bought it? It had started to be contrary already a year ago, so the decision to change the car has been a thought for a long time. 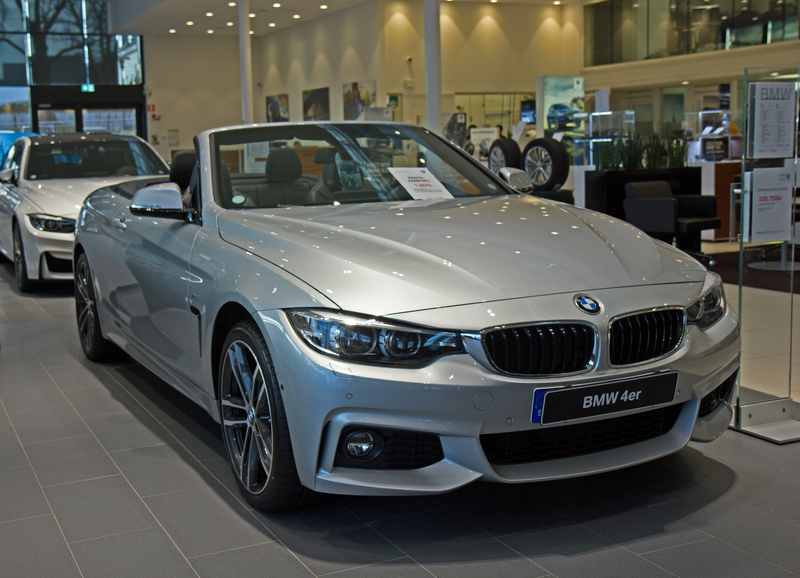 At BMW, she was advised to drive until it breaks down, making it easier to troubleshoot. Said and done, and then came the day when it was impossible to drive the car. Once inside the garage this time, it was found that the cam chain had to be replaced. Cam chain? Wasn’t it the cam belt to be replaced after 46600 miles? Wouldn`t a chain hold the entire engine life? BMW has come up with an improved timing chain tensioner for this engine but it wasn’t replaced on Gunilla’s BMW. The service book with all Bavaria stamps from Danderyd was well-filled as she handled the service exemplarily, but it didn’t help; 23000: – for a change, something the car owner is expected to count on. “BOOK SERVICE, the highest quality of work and parts” is the slogan at Bavaria in Danderyd. The choice of a new car is based on many different factors. What should the car be used for? Need a seat for passengers and luggage? Comfort, feeling, and radiance? What does it cost? All this has to be considered. BMW has its M4 Coupe and Ford have Mustang GT as Cab or Fastback. Both cars are available with several engine options and are competent cars but with a small rear seat. At the car dealer, you want to be well-treated and not feel like “the invisible man” as you can do in some car showrooms. Ford, why not a Ford? Who sells Ford? FordStore of course. There are apparently over 200 sales outlets in Europe that sell the American Ford Mustang GT that was born more than 50 years ago. 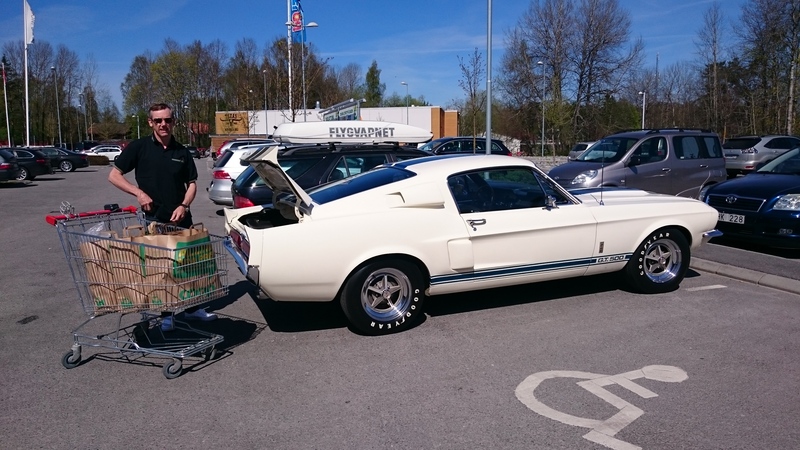 At that time, there were not many sale outlets in Sweden, but private imports were what was needed to buy a Mustang GT with the GT Equipment Package at 1965, 289cu.in V8 225hp with disc brakes. The model currently in use in Sweden since 2015-2017 is Mustang GT, Fastback or as a convertible. 2 + 2 cars with the optional “Custom package”. The new Mustang most people select has the 5.0L V8 (302cu.in) with 421hp and has now developed into a car you really enjoy to ride. Many make thumbs up and get excited when they see the car. Like the old Mustang, the new one has received many well-chosen attributes that match the old model of origin. It is far from a “retro-monster” but has a modern chassis with an individual, multi-link rear axle 3.55:1 with Torsen differential brake, which drives the Pirelli PZero 275/40 on 19-inch aluminum rims. Brembo six-piston brake pad in 255 / 40×19 inch wheels. V8 DOHC engine with 4-valve technology and variable camshaft adjustment. The engine is also available as a 2.3L EcoBoost with a turbo. 6-speed manual as standard or automatic 6-speed with paddles on the steering wheel as optional. Several selectable driving modes from normal, sports +, racing and snow/wet. A weight of 1700 kg. The interior fits surprisingly well with -67 Mustang and backward when it started. There is no wood imitation that came -68 and beyond, but here’s brushed aluminum and 2 real instrument houses with clear mechanical visor pins, where you can choose the right green background color. The quality, feeling of plastic parts such as instrument panels, door sides, controls etc. are like Audi, BMW, and Mercedes mid-range cars. It’s not where the stuff is sitting, but here it’s about driving a car with the right feeling; the road holding is always available no matter what speed you are traveling in. The 2017 Mustang GT can also be enjoyed on track days and lonely roads at high speeds. It is very hard to be disappointed, it has it all and a bit more. Automatic bi-xenon headlights, elasticized leather seats, back camera, tire pressure measurement, retractable rear view mirrors, rain sensor, DAB Radio / CD 390W with 12 speakers including subwoofer, 12-inch touch display with travel computer. Keyless go, cruise control, GT chassis, advance track, Line lock, track apps, etc. buy a new Ford Mustang GT? You obviously understand which car Gunilla chose. Why buy BMW when you can buy a new Ford Mustang GT ?! The showroom at Upplands Motor in Kista was also of the highest class and she is looking forward to try the car on any track day this spring.